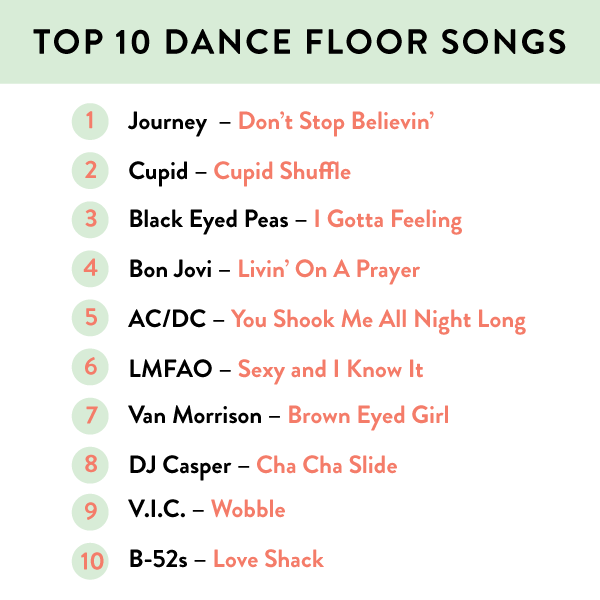 I've already expressed how much I love getting a little crazy on the dance floor when Lisa helped me share the top 10 First Dance Songs from her Rochester Couples, but today we're sharing the top 10 most requested songs on the dance floor! Variety is the spice of life! Your DJ has a much bigger job than just playing amazing music, it's all about a timeline, the audience, and the flow of the event! I remember multiple times, mid thought, spinning around with "OMG I LOVE THIS SONG", grabbing my friends, and hitting the dance floor, it was beyond my expectations. Lisa helped make a tiny dance floor into exactly what we wanted, and the whole room was dancing! Thanks for sharing Lisa! My wife and I are both from the South (GA and SC), and we wanted a true southern wedding reception. We couldn't have picked a better place! The food and service are superb. This is the closest as I've found since moving. A great big thank-you, the work is unquestionably useful! Without a doubt, the investigator is a proficient in the field of speciality. As contrasted with other information I seen on the question, the one contains brand-new points of view. The website actually procures lots of entertaining information on the current questions. My family and I browse them regularly.